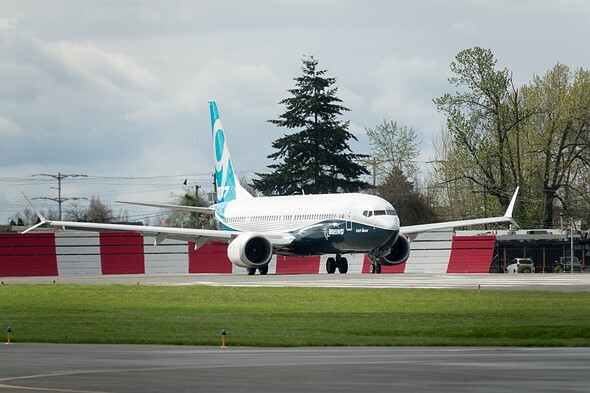 The Boeing 737 Max 9, shortly after landing. There’s enough latitude in the RX10 III’s Raw files to allow for moderate shadow and highlight adjustment. As has been amply demonstrated in the past, I’m an aeroplane nerd. 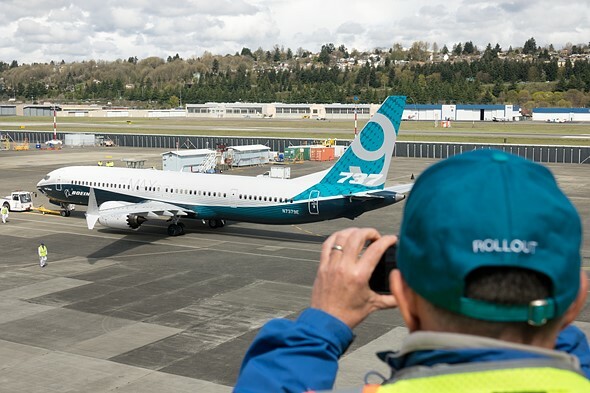 So when Boeing offered us the chance to shoot the first flight of its brand new Boeing 737 Max 9 last month, I jumped at the chance. I might even have pushed a couple of my colleagues out of the way. 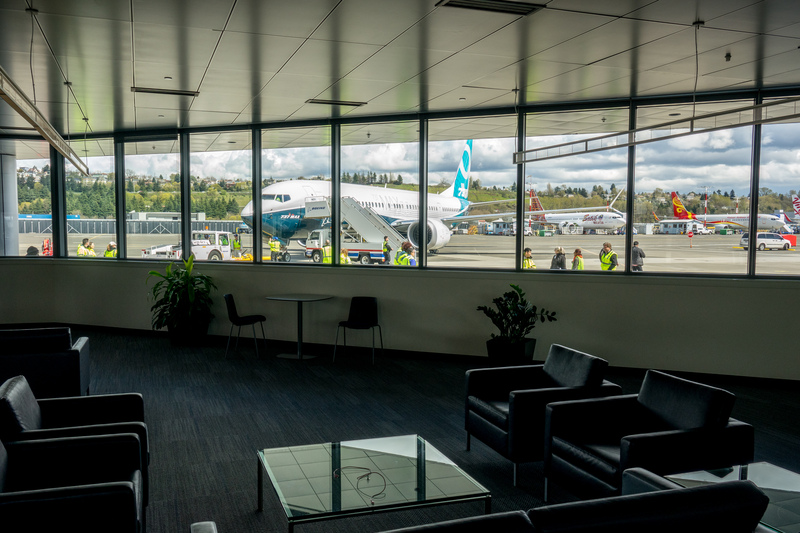 In the end, three of us headed over to Boeing Field in Seattle for the first flight – Dan, (who couldn’t care less about aeroplanes), with a Panasonic FZ2500; me, the super-nerd with the Sony RX10 III, and Carey, an impartial observer, with a Panasonic GH5 (to film me and Dan arguing). We’ll be publishing a longer article comparing our results soon, but in the meantime, with the 737 Max 9 just (temporarily, hopefully) grounded, we thought you might like a sneak preview. The 737 Max 9 at the end of the runway at Boeing’s Renton assembly plant, seconds before starting its takeoff roll. I am on record as having described the Sony RX10 III’s lens as being ‘made of magic’. I just don’t understand how a 24-600mm lens built into a compact (ish) camera can be as sharp as it is. Since as Arthur C. Clarke so memorably said, any sufficiently advanced technology is indistinguishable from magic anyway, and bearing in mind that I’m no expert in advanced optical technology, magic is the explanation I’m sticking with. As well as 20MP stills, the RX10 III also shoots 4K video. Because we were trying to compare two cameras, and Boeing didn’t seem too keen on our suggestion that the Max 9 take off at least five times for accurate side-by-side tests (sorry Rishi, we did ask), we decided not to worry about shooting any video. The RX10 III takes nice-looking video, and if you’re curious you can see several examples of its footage in our full review. Grant Hindsley is too tall. It’s an unfair advantage. First flights are always a bit of a lottery in terms of timing. I’ve shot a couple of them, and things rarely go exactly according to schedule. 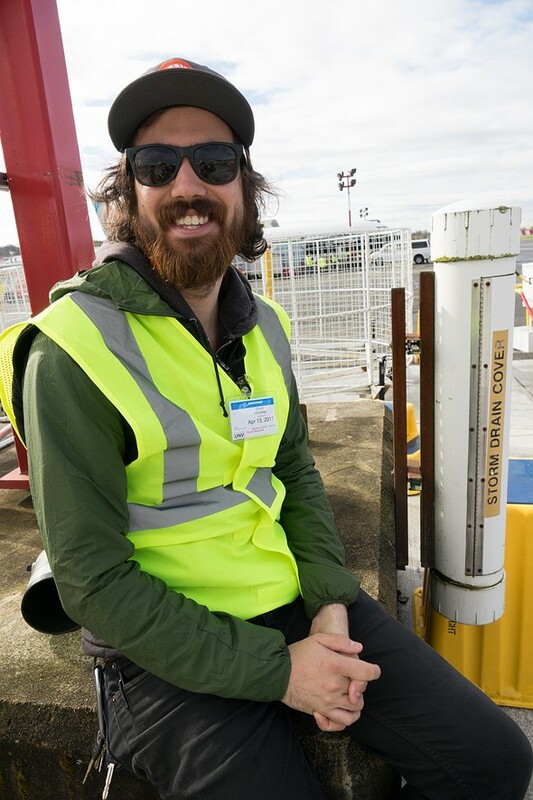 The 737 Max 9 takeoff was delayed by a couple of hours, which we spent standing around, stamping our feet to stay warm and teasing Grant Hindsley from the Seattle PI (above) about his great height. When the plane started to taxi, things happened very quickly. No time for comparing how mode x compared to mode y – we just had to start shooting. In high speed capture mode, the RX10 III can shoot at up to 14 fps, in Raw + JPEG, with focus locked. Since we were shooting a large airplane, pretty much at infinity, moving from infinity to infinity by way of infinity, having focus locked (at infinity) was fine. What I hadn’t anticipated is that when focus is locked, so is the RX10 III’s zoom. It makes complete sense when you think about it, but the lens won’t zoom with the shutter button half pressed. For this reason, I had to zoom and recompose a couple of times during the Max 9’s takeoff run, but even with this interruption, I still captured a lengthy sequence of sharp images of the plane rocketing past our position, and into the sky. 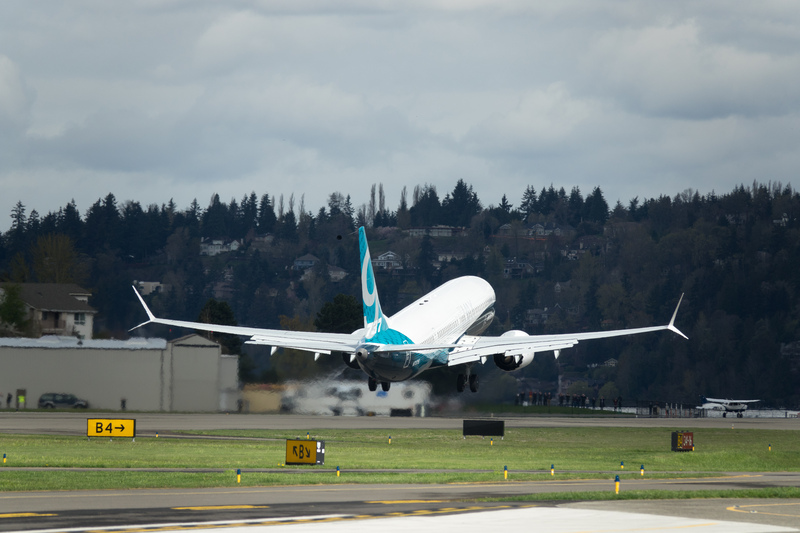 The 737 Max 9 lifts off from the runway at Renton, for its first flight. While the RX10 III can be a somewhat frustrating camera to use (I really dislike its fussy user interface and I can’t wait for the inevitable Mark IV to finally clean it up) that lens really is something. From 24mm right through to 600mm, I took home images that are sharp and contrasty from edge to edge, and free from noticeable distortion. Having such a wide (and usable) zoom range in a single camera allows for incredible versatility. Dan and I we were shooting alongside photographers from various news outlets and picture agencies (and of course slightly beneath Grant, from the PI) and while they juggled with huge telephoto primes, swapping for wides for crowd shots and then back again, I just nudged the RX10 III’s zoom rocker switch in the desired direction. 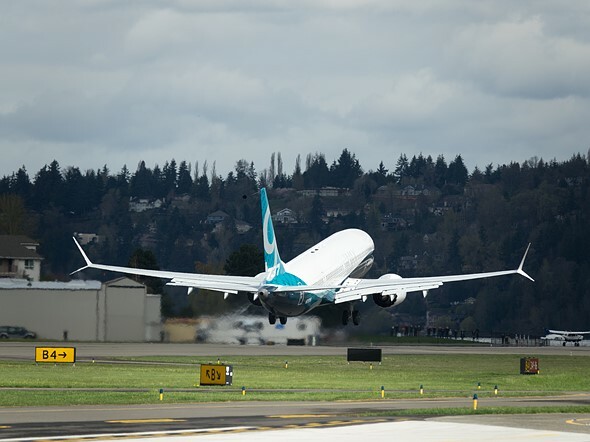 The 737 is on final approach? Nudge.. nudge… to 600mm. It’s taxiing into the gate below our balcony? No problem. Nudge… nudge… back to 50mm. 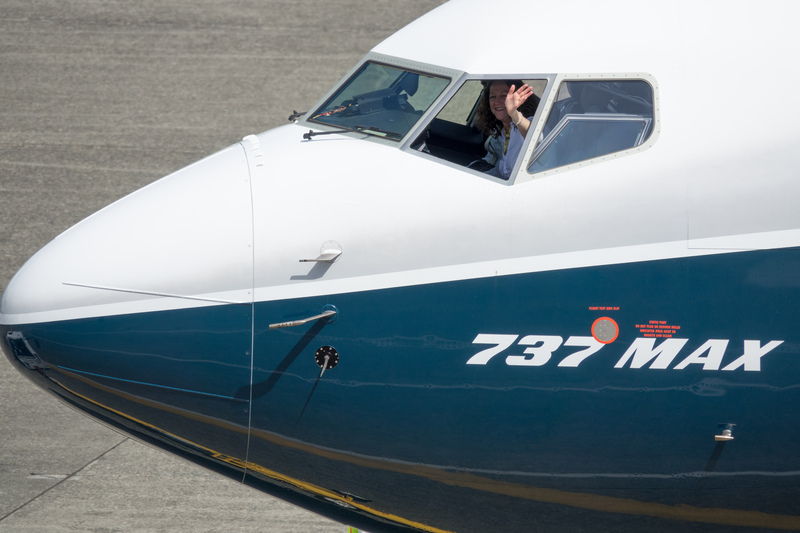 And then out again to 600mm for a shot of the pilot waving from her window. Done. … and moments later, zooming in let me capture Boeing’s chief deputy test pilot Captain Christine Walsh waving from the window of the 737 Max 9 as it taxis to the gate after the first flight. We’ll be publishing Dan’s images from the Panasonic FZ2500, and a short video from the day very soon. For now, take a look at the gallery, which includes out of camera JPEGs and converted Raw files, as well as Raw files for download.